With the growing popularity of all things retro, it’s great to see more manufacturers bringing authentic reproductions back to life. Case in point: Rejuvenation – long known for it Arts & Crafts, Colonial Revival, and Deco-era reproductions – introduced its first off-shoot brand “Satellite” last year. Update: Rejuvenation has backed off this second brand — all their modern lights are simply sold under the Rejuvenation brand. 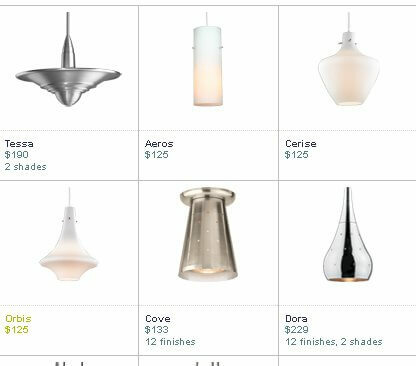 Rejuvention features a growing range of lighting – like the pendants above – as well as hardware, shades and other products. 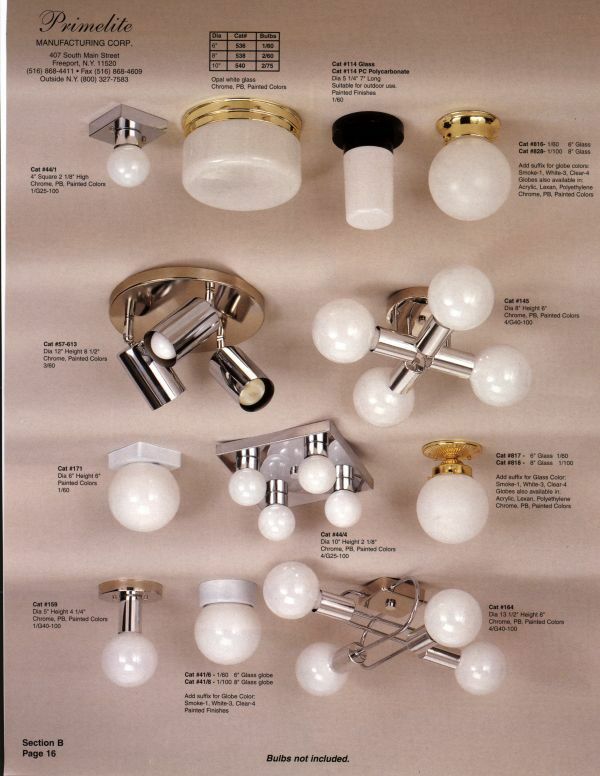 To come up with the designs the company scours “the internet and our extensive collection of 1950s and early 1960s trade catalogs to rediscover and reintroduce the coolest lighting and hardware of the era,” explained Bo Sullivan, Rejuvenation senior designer and historian. 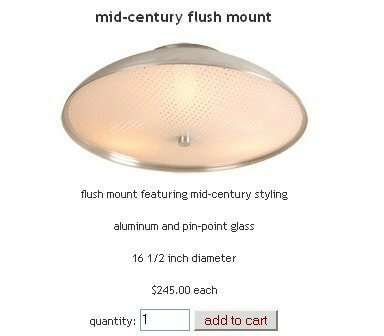 See all my stories about lighting for a midcentury modern or other period house here. Kristin, thanks for the tip, I’ll check it out! HELP! I’ve been on this site many times, and today had my heart broken!! I was looking at the ebay site of the day, and didn’t notice it was 2/24/08. Imagine my excitement as I dove into ebay, only to realize these sconces were snatched up a year ago. My problem is in finding the 50’s wall sconces that look like 2 cones connected in the middle. 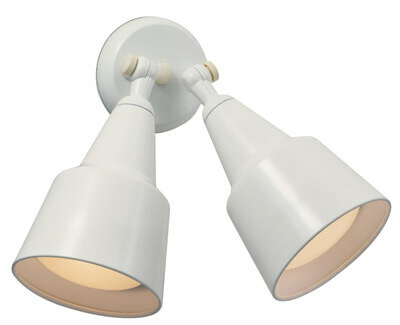 Am trying to find these or at least 2 light sconces that will illuminate both up and down. Any suggestions? I’m out of ideas. Here is another option, granted it is intended more for outdoor use. Pam, A site on e-bay called palmspringsvintage.com has what you are talking about.Repros made in California of spun aluminum.The smaller 13″ one has perforations.Three sizes and finishes can use indoor or out.Very cool. Just ordered from them Nov.8,2012. 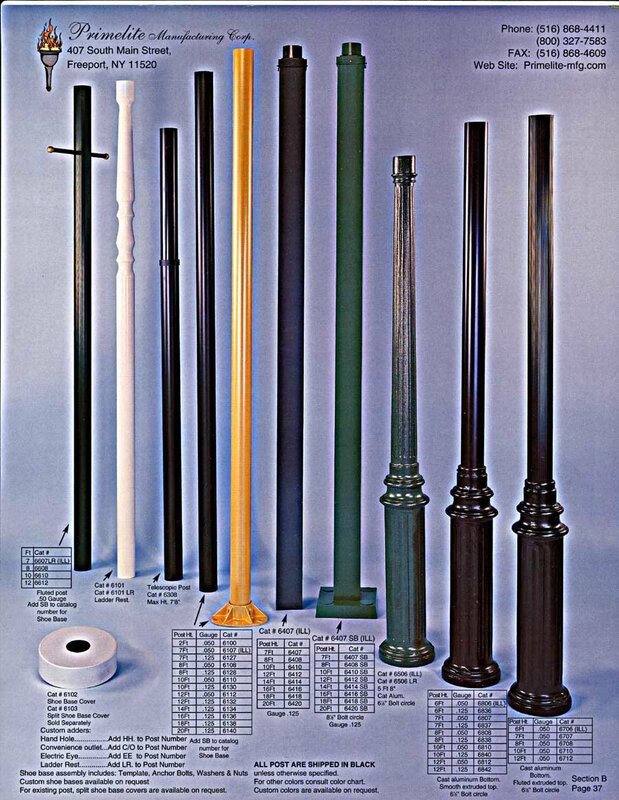 I think I found the site under “retro lighting” or you could try to google the above address.His discription of them was “aluminum double cone sconce vintage Eames”.